A good quality, well-built dresser can easily cost several hundred dollars. 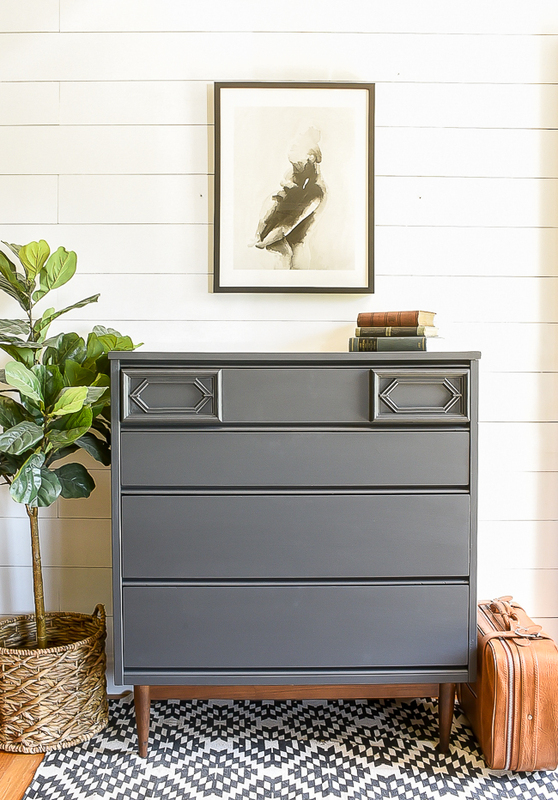 Unfortunately, most dressers made today are constructed of cheap particle board and aren't built to last. The sad part is, even marginal quality dressers can still be expensive. Buying used, solid wood furniture not only saves money but guarantees the furniture will stand the test of time. Recently, I found this gorgeous Bassett dresser at my local Goodwill for around $60.00. 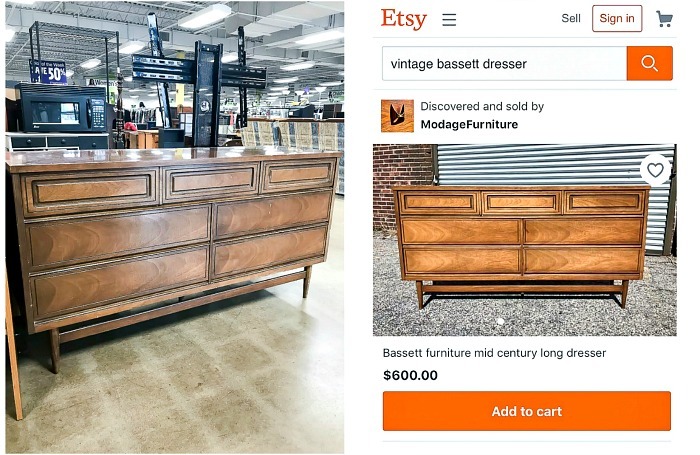 The same exact dresser also happened to be listed on ETSY for $600. That's a HUGE savings for a solid dresser that will last for generations to come. Another great find was this mid century modern dresser that I scored off Facebook Marketplace for $35. Every desk in our house has either been given to us or bought secondhand. Think about how much money that has saved! 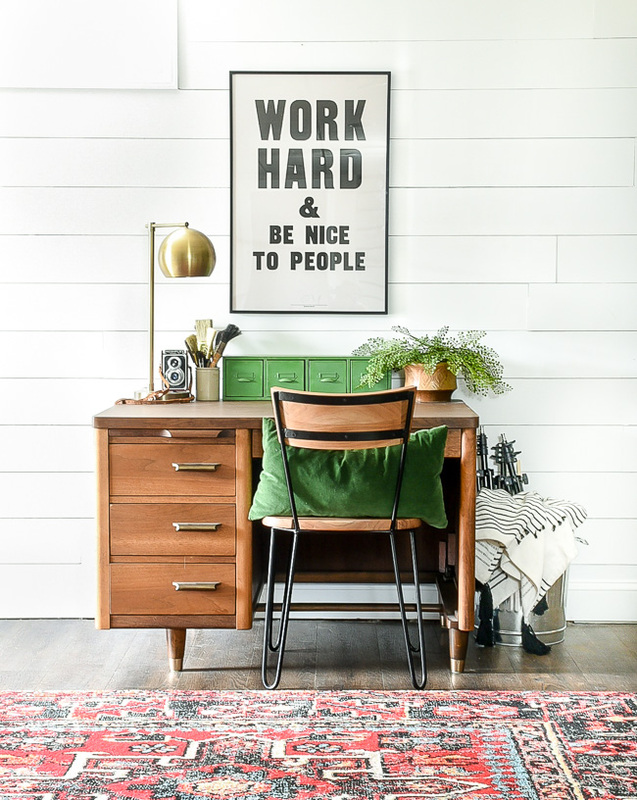 Sometimes it's hard to find a good quality used desk that doesn't need updating, but there's always the option of refinishing or painting to bring it back to life. The mid century modern desk I use in my new office was bought secondhand for $15.00 and is one of my favorite secondhand finds. Similar desks can run anywhere from $600-$1000, so I consider myself fortunate to have found a solid wood desk for a fraction of the price. 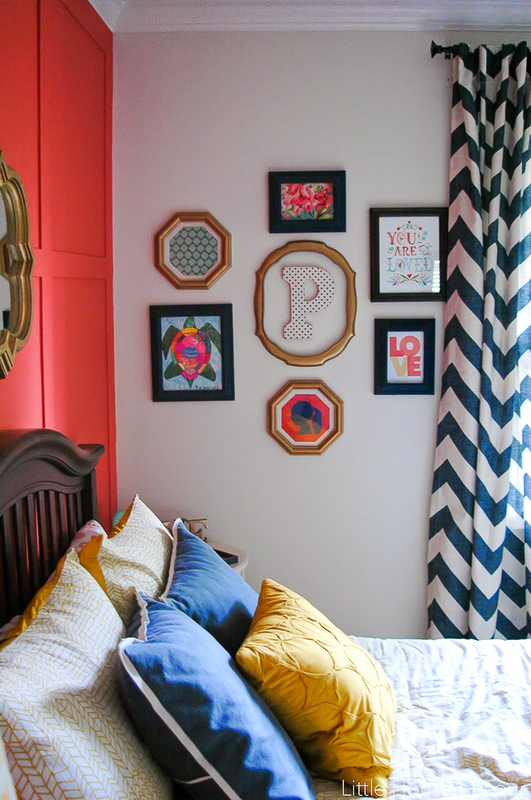 Frames are so easy to find at yard sales, thrift stores and flea markets. 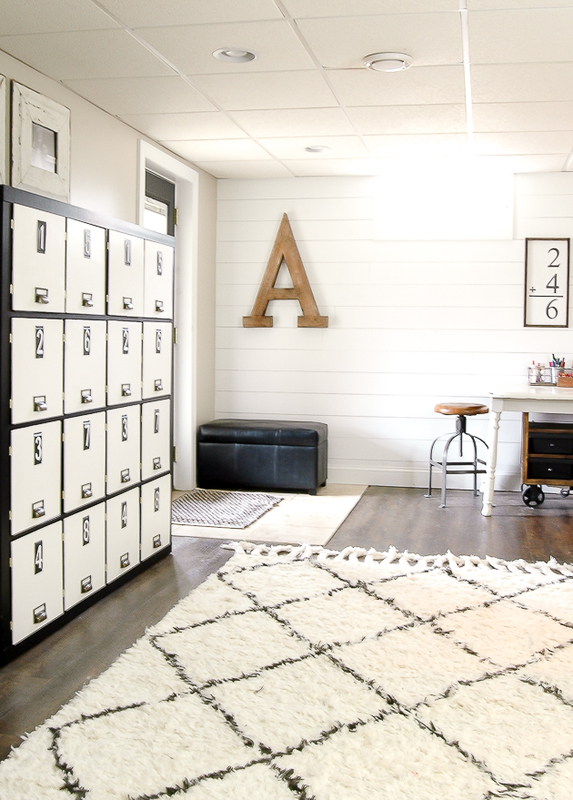 They're inexpensive and easy to update with paint and stain. Almost all the frames in our home have been bought secondhand or from vintage markets. 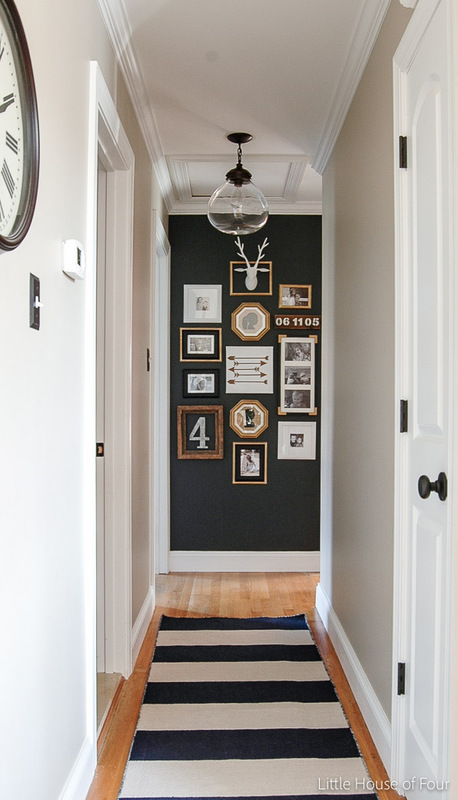 I like the idea of mixing and matching frame shapes, sizes and colors to create eclectic gallery walls. 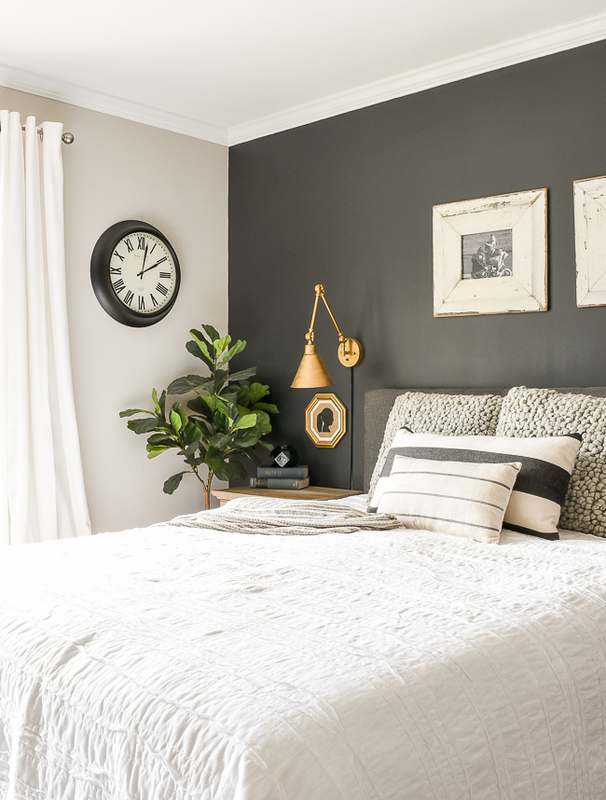 If that's not your style, you can easily and inexpensively paint frames to coordinate and match. 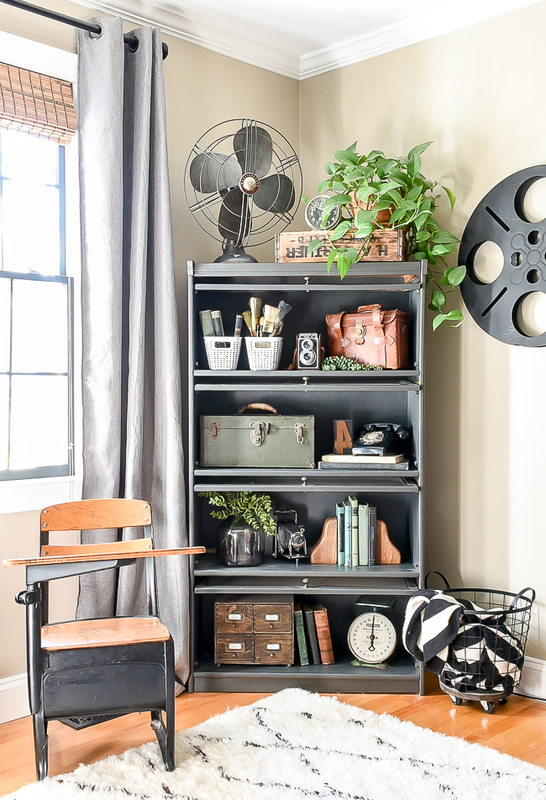 Books are one of my favorite home decor essentials and are so easy to find secondhand. I love using books to style bookcases and tables and tend to look for ones in various shades of blue and green. I've even been known to buy books in different languages simply because I liked the look of the binding. 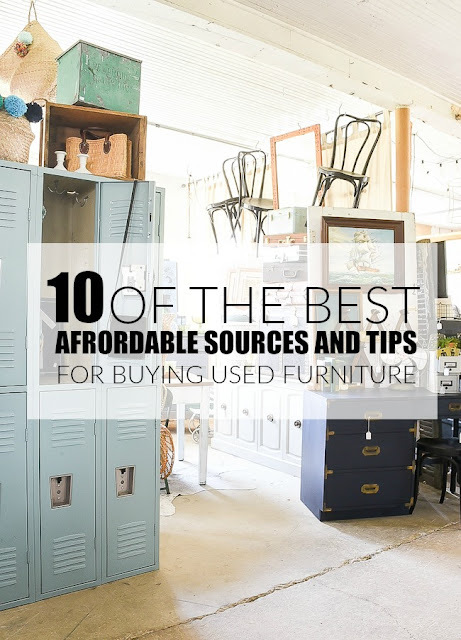 Just like dressers and desks, tables are another furniture item that you can save you hundreds of dollars on simply by buying secondhand. Auctions, estate sales and Facebook Marketplace are flooded with all different styles of solid wood tables. Why buy baskets new when you can get them for a fraction of the price used? 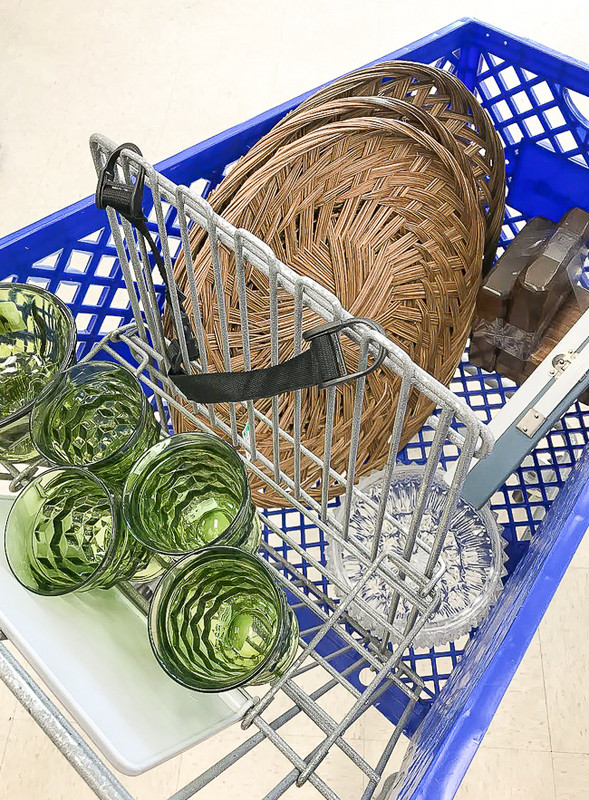 Most thrift stores have a wide variety of baskets, so you're bound to find something you're looking for. 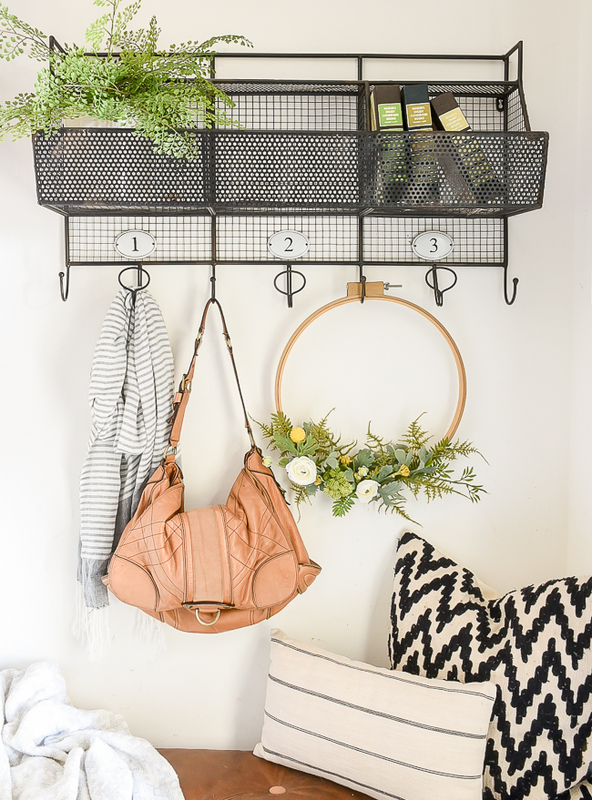 I particularly like searching for round flat weave baskets that I can hang on the wall to create super cheap wall decor. Hunting and finding unique decor is one of my absolute favorite aspects of thrifting and buying secondhand. 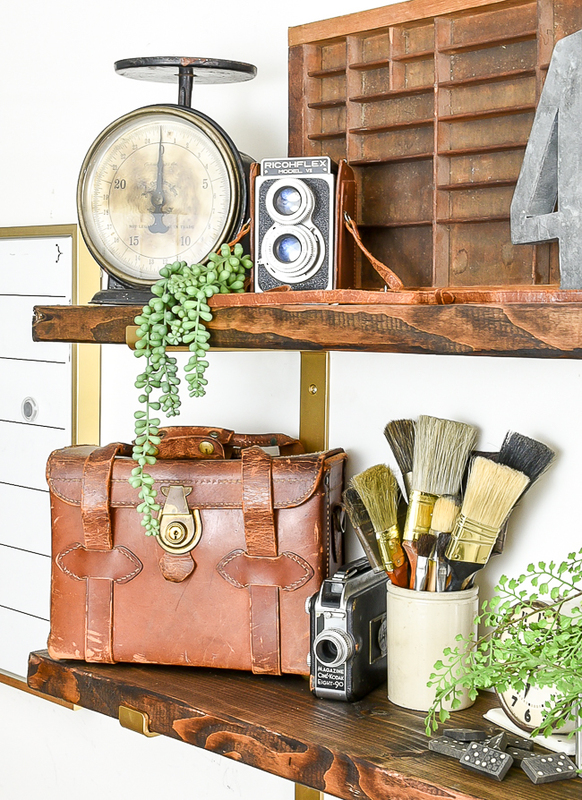 Auctions and flea markets are my go-to places when I'm in search of vintage decor or one of a kind pieces. I've been able to find some really great pieces that you just can't find in big box stores. 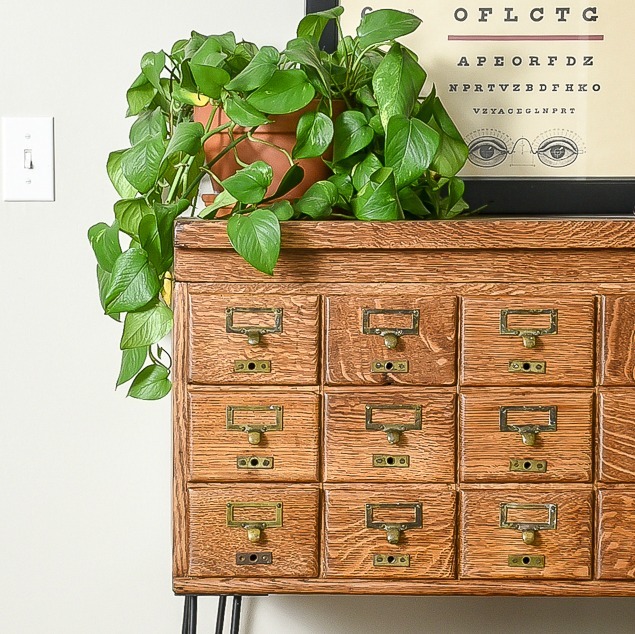 Everything from cameras and crocks to card catalogs and old metal storage cabinets. I gravitate towards card catalogs, vintage clocks, cameras and suitcases and anything unique that I don't see often. I just recently bought a green vintage animal carrier because it was unique and something I've never seen. You just never know what I'll find and buy! As much as I love thrifting and saving money, I'm also a bit of a germaphobe. 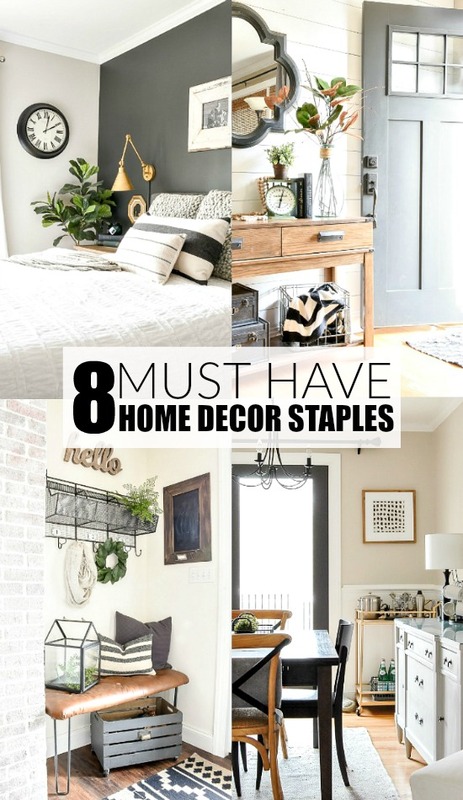 I tend to only buy things I can wipe down, throw in the wash or plan to use for decor only. Vintage suitcases just might be the one exception to my "rule". 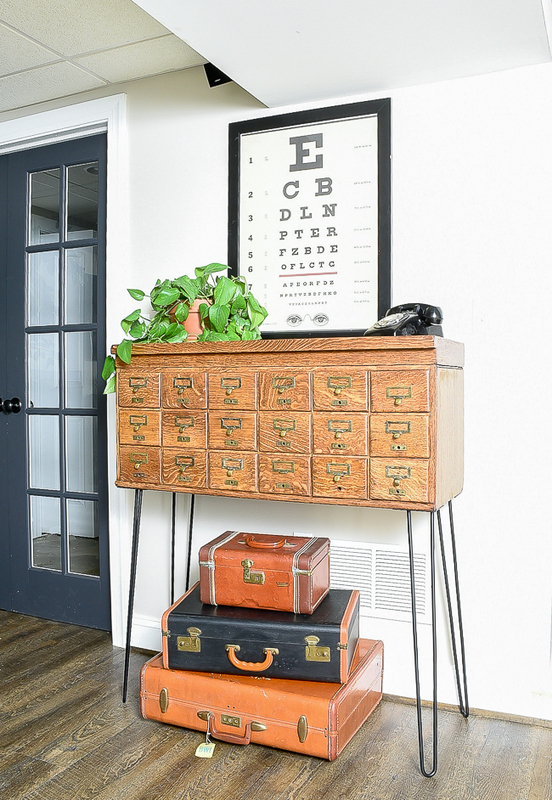 I don't use them for traveling, but they're perfect to use for decorative storage. I have a stack of three under the vintage card catalog I refinished and you would never know they were full of games and art supplies. This category consists of basically anything made of fabric that you can throw in the wash. I typically don't buy used towels, but I have bought many scarves (I like to use them for decor), blankets and bedspreads. Last year, I got lucky and scored a vintage Bates bedspread from a local auction. 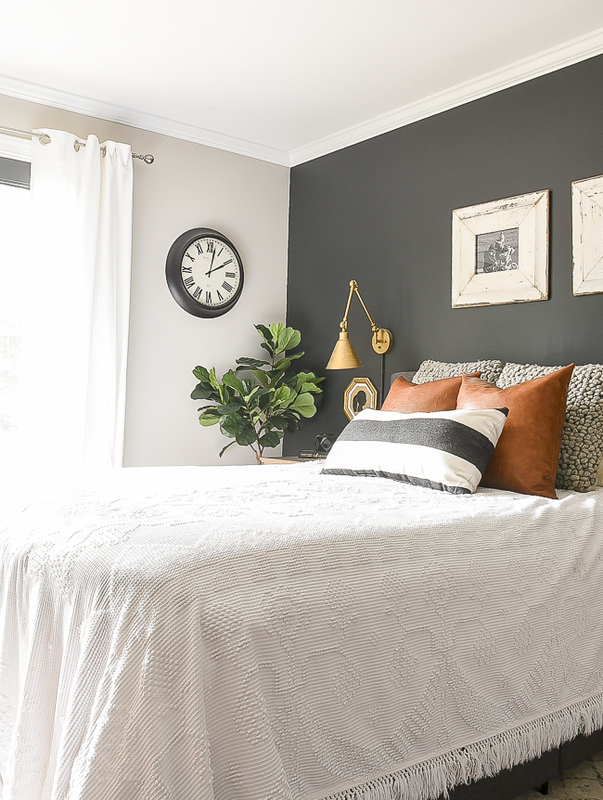 I love the feminine vintage vibe it adds to our bedroom and that it's something you typically don't see in big box stores. Have you heard the saying, buy used and save the difference? 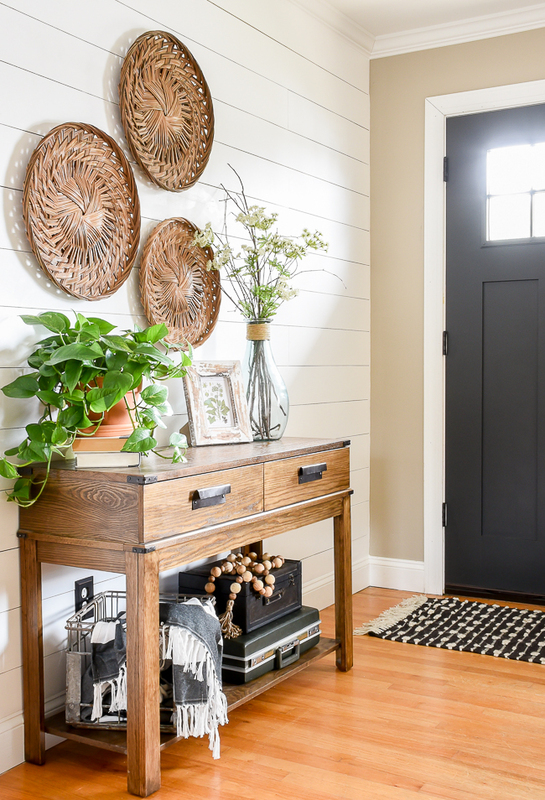 Not only does buying secondhand save a ton of money, but it also helps create a home that's unique and personalized. 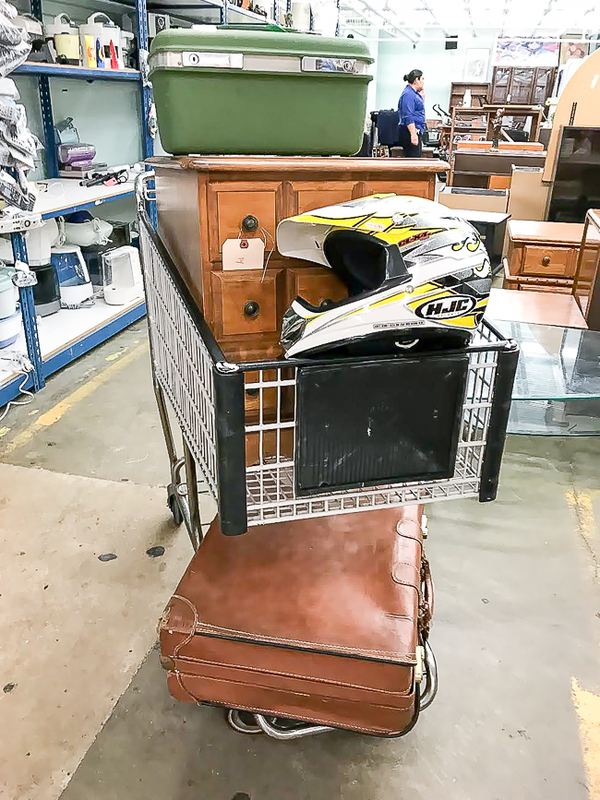 Amazing treasures can be found simply by having an open mind and exploring local auctions, thrift stores and flea markets. 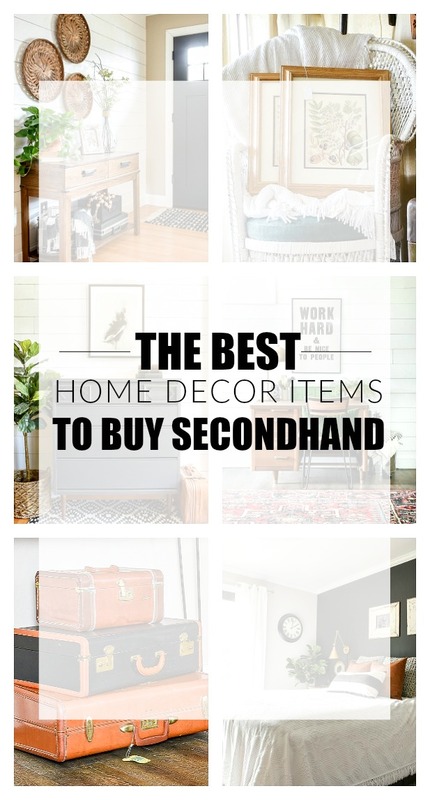 What are your favorite items to buy secondhand?